For too many seasons have the horrors of The Greeviling and Wraith Night kept our formerly festive heroes huddled near the warmth and safety of an Ancient’s glow. 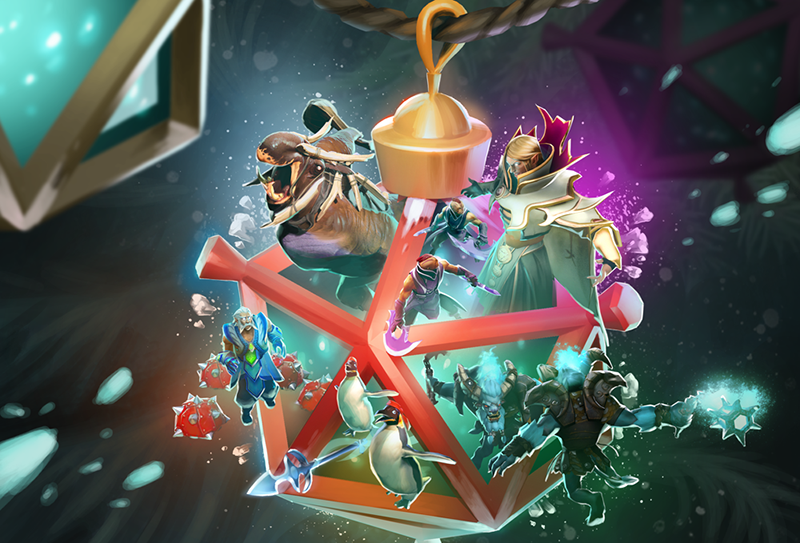 But this year a handful of heroes have gathered to ensure the true Frostivus spirit emerges from the traumas of the past. To kick off the season, today’s update unveils an all-new Frostivus Treasure, filled with 18 community-created item sets and offering the chance to unlock a Rare Batrider set, Very Rare Wraith King set, or Extremely Rare Puck set. And what would Frostivus be without a return of the Season of Givening?! This year, every player has the chance to earn one free Frostivus Treasure gift simply by going about business as usual. It’s easy — just win three games of Dota to claim your present. Now to truly foster the holiday spirit and resurrect the tradition of the truce, everyone is invited to partake in the Frostivus Festival Special Event. Queue up to enter the fray and compete against friends and strangers alike in a madcap series of mini-games (randomly selected from a larger pool for each match) that will test your skills but never diminish your holiday cheer. Please join us in offering a hearty congratulations to VicFrank, the Workshop contributor who created this winning entry and has secured the $30,000 grand prize. Thank you to all of the contributors who worked hard to help make this contest a resounding success.